According to David Barron at the Houston Chronicle, today the Houston Dynamo and Gow Media will announce a new multi-year deal to broadcast Houston Dynamo matches over the radio. Most of the matches will likely be aired on KGOW - Yahoo! Sports Radio 1560, but some will also be aired on KFNC - ESPN 97.5, both of which are owned by Gow Media (which also owns the Yahoo! Sports Radio Network). In addition to carrying most of the Dynamo matches, which will again be called by Matt Pederson, KGOW will begin airing Glenn Davis' Dynamo All-Access Show starting at 7:00 p.m. on Monday January 21, 2013. Last month, Glenn Davis moved his Soccer Matters show over to KFNC. 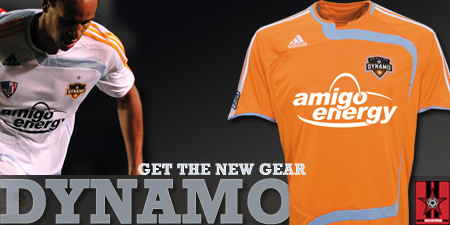 The Houston Dynamo's 2013 MLS Season starts at BBVA Compass Stadium on March 2nd, when they host D.C. United. The match is set to start at 7:00 p.m. local time.